Pressing the VSC OFF switch turns off traction control and pressing and holding this switch turns off traction and VSC controls. If TRAC control is turned off, the TRAC OFF indicator light will come on. 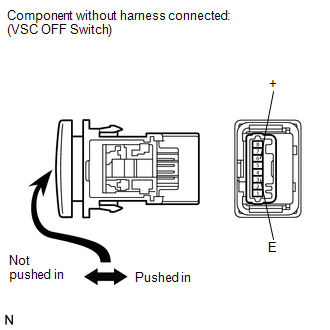 (d) Using the Techstream, check the switch condition on the Techstream changes according to VSC OFF switch operation. 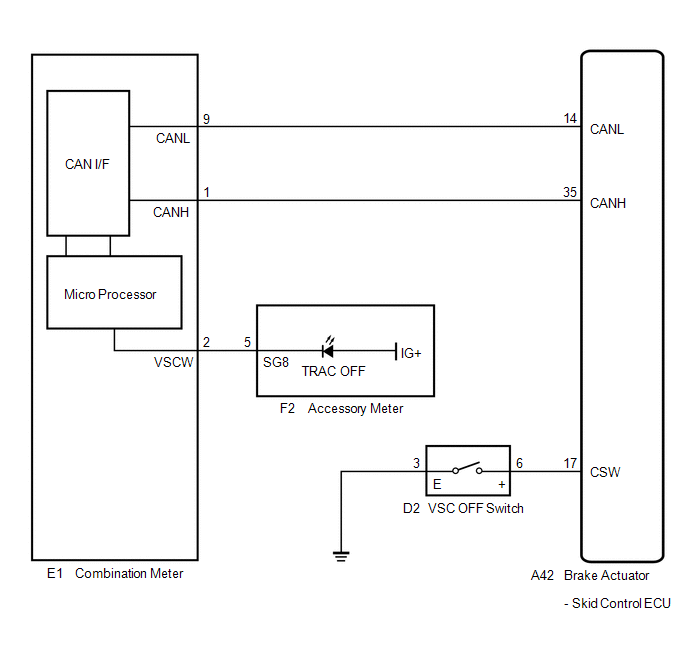 The Techstream display changes according to VSC OFF switch operation. 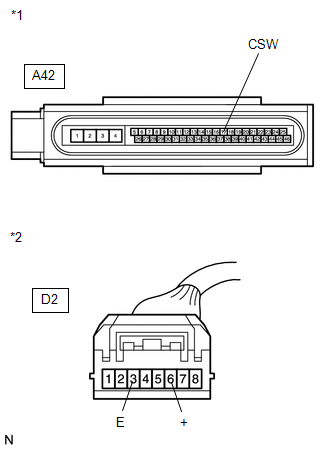 (b) Disconnect the VSC OFF switch connector.